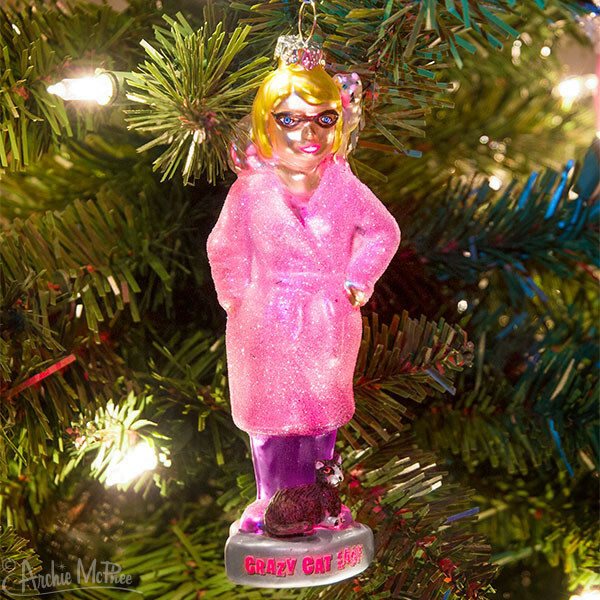 Why a Crazy Cat Lady Ornament? Crazy Cat Lady has become a term of endearment for people who prefer the company of cats. (Which just makes sense, really.) In some families itÍs a tradition to have an ornament that represents each person. Well, the Crazy Cat Lady Ornament is the holiday symbol for your own passionate kitty aficionado. This glass 5-1/4" tall ornament includes a string for hanging or can stand on its own.